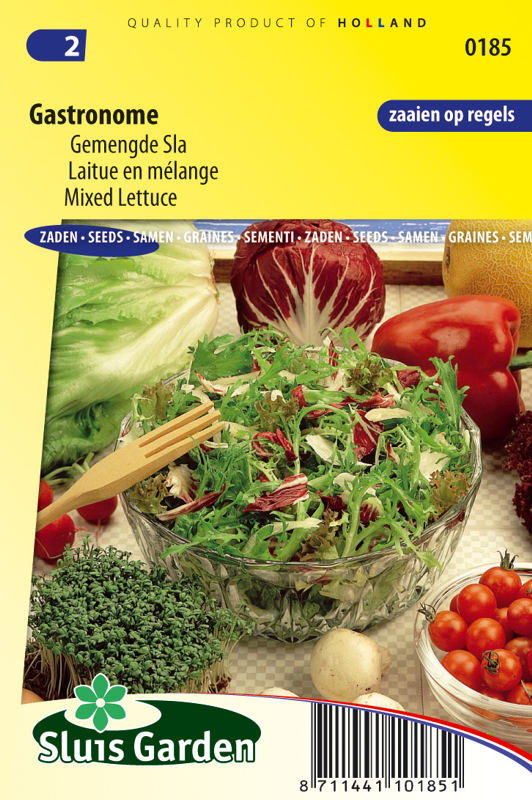 A well balanced mixture of green and red (baby) lettuce varieties, supplemented with chervil, corn salad, radicchio and endive. In an unheated greenhouse it can sometimes already be sown in rows as of mid February. The row distance is approx. 15 cm. Sow fairly thickly. Take care when watering, as the delicate compact leaves are extra sensitive to smudge. Later sow in the same way outside. Harvest once the leaves are 10-15 cm long. They are therefore ideal for sowing in pots. 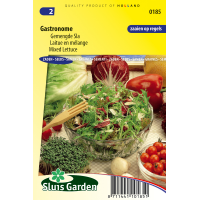 Particularly suitable for spring and autumn cultivation.